Since I was little music has been an essential part of my life. When I was nine I fell in love with the cello. The sound of it, the way it feels to play, captivated me. The cello sings in the same range as the human voice. My cello has always been my voice and expression in the world. 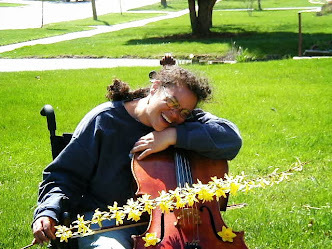 Disability threatens to silence my cello, but I will not let go without a fight. Myasthenia gravis weakens the muscles in my entire body, including my hands. When MG invaded my hands I was terrified. I thought I was going to have to stop playing. Techniques I had practiced since I was a small child no longer worked. I couldn't hold up my shoulders or move my left hand on the neck the way I was taught. I kept trying, though. I discovered I can play the cello with my shoulders close to my body. It would make my former teachers shake their heads in dismay, but it works for me. That solved the problem of fatigue in my shoulders. I still was clumsy on the cello neck. My hand would fall forward and collapse in the middle of playing. That wasn't as easy to fix. One night I was practicing and I made a mistake. 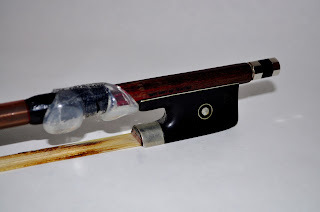 My thumb moved out of position on the back of the cello neck. My hand was stretched about a quarter of an inch out of place. The movement of my thumb caused my left hand to pitch backward. As soon as that happened all of the weakness in my hand disappeared. I was playing technically wrong for a person without MG, but for a person with MG... I was playing exactly right. The slight rotation in my hand helped me regain strength. The clumsiness vanished. A slight adaptation in technique was all I needed to get my left hand flying around my cello again. I then proceeded to play the cello loud enough to peel the paint from the walls! 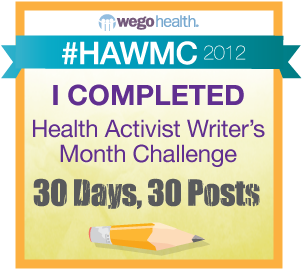 I was so excited to have found a way around my disability. But... my right hand kept dropping the bow. The proper bow hold requires a bent thumb. 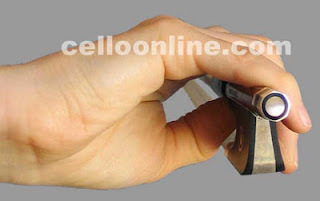 It's difficult to explain, so here's a picture from Cello Online. See how the thumb is bent? I lost the strength in my thumb to maintain that bend. What I needed was something to help me hold my bow. I needed a way to grip it better. 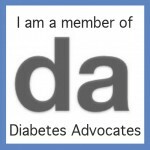 Believing that adaptability trumps disability I tried an assortment of things. It looked ridiculous, but it worked somewhat. I found I could maintain a bow hold longer, but what I really needed was a bow grip that would hold my thumb in place. I needed something to brace my thumb so it would stay bent, but be loose enough so I could still move my hand. It needed to be firm enough to press against, but still soft and flexible. I tried a foam tube but it didn't work. I was stumped, but I kept thinking. My thumb goes between the two. The one in front maintains the bend in my thumb so my muscles don't have to work so hard. The one in the back provides a grip to keep me from dropping my bow. There! 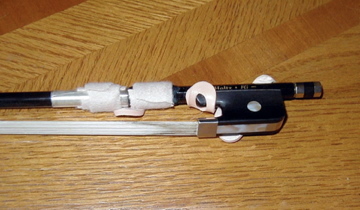 An adapted cello bow. I held my bow and it felt like an extension of my right hand. 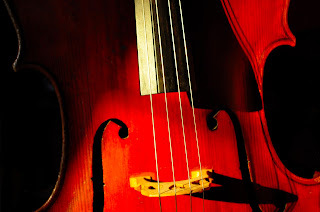 My cello sang out a melody and the sound became an extension of my own being. The melody flowed from my soul until it became my joy. I have always loved the cello. I haven't stopped loving it. I refuse to stop playing. I am going to keep playing no matter what. The ability to think, the ability to strive, and the ability to fight back trump disability. Always. 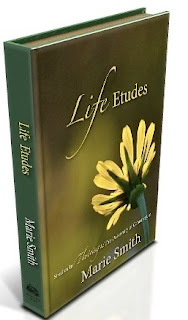 Heard this in a movie once, and it's so true: "Life is what you make of it. If it doesn't fit, you make alterations". So awesome!!! I may have to try to find a similar technique, as I have RA and play violin, but have trouble because of increasing joint immobility and the loss of flexibility that I used to have. Thanks for sharing, and I hope that you can keep playing for a long, long time!! Music is so healing! !